Sarah Gallagher (20) stole a handbag, a laptop, two mobile phones and some perfume from a house in Dollar Gardens, Bainsford. Gallagher, 5 Kenilworth Drive, Laurieston, admitted the theft of the goods – which were recovered – on May 14. 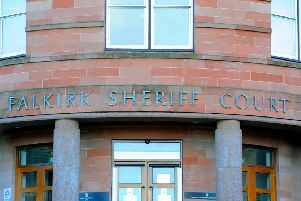 Appearing from custody at Falkirk Sheriff Court last Thursday, she was sentenced to 120 days in prison back dated to August 13.